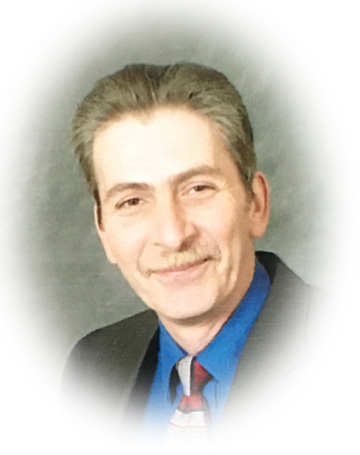 Obituary for Philip P. Pupo | Sheetz Funeral Home, Inc.
Philip P. “Phil” Pupo, 60, of Mount Joy, passed away on Saturday, January 19, 2019 at Hospice and Community Care, Mount Joy. Born in Altoona, he was the son of the late Francis P. and Mary Louise (Bradley) Pupo. Phil was the husband of Brenda Keim. Phil worked at QVC, JC Penney and most recently the Mount Joy Diner. He enjoyed going out to new restaraunts with his good friends, John and Dottie. Phil will be missed by his beloved cats, Allie and Sylvia. Surviving in addition to his wife, Brenda, is a daughter, Brenda Jo Benedict of Bainbridge; three grandchildren, Michael Benedict of Elizabethtown, McKenzie Benedict of Bainbridge and Anne Gordon of Bainbridge; four siblings, Karen Nepa, wife of Tom of Cresson, Mary Ellen Sheridan, wife of James of Sankertown, William I. Pupo, companion of Sharon Hanlon of Fort Pierce, FL and Timothy Pupo, husband of Lydia of Hollidaysburg; numerous nieces and nephews; and his “adopted” family. He was preceded in death by twos sisters, Catherine F. Pupo and Phyllis Ann Pupo. Family and friends will be received at the Sheetz Funeral Home, Inc., 16 East Main Street, Mount Joy on Wednesday, January 23, 2019 from 6 PM to 8 PM. Interment will be private. In lieu of flowers, memorial contributions may be made to Hospice and Community Care, 685 Good Drive, PO Box 4125, Lancaster, PA 17604.